What Is Mold? - HouseCheck | Inspections. Done Right. What is mold? Where does it come from? How does it grow? Can it make us sick? How do we get rid of it? You may have heard the phrase, “there’s a fungus among us.” But do you know how true that statement really is? Fungi – including mold — are among the most plentiful living organisms on earth. The engine that makes fungi grow is a tiny reproductive unit called a spore. Fungus nourishes itself by consuming other organisms. It is considered to be a life kingdom, along with the plant and animal kingdoms. There are countless types of fungi. According to the Center for Disease Control (CDC), the number of fungi species is unknown. Some researchers believe there might be hundreds of thousands of fungus varieties. But three common fungi we all know are yeast, mushrooms, and mold. Mold’s not all bad…or good. There is fungus we eat on purpose. Like mushrooms. But there is also fungus, in the form of mold, that is present on many of the foods we consume. Coffee, fruit juices, canned or frozen berries and tomato products typically contain some mold. But mold can also be friendly. The best example would be in the Penicillium family of molds. You can probably guess that’s where penicillin comes from. Like any living thing, mold thrives in the right conditions. Molds love humid places that are warm and damp. Since mold craves moisture, you might think it would die off when it dries up. But mold spores are hearty little critters. They can live on in environments that are naturally hostile to mold – including places that are bone dry. Mold spores spread in numerous ways. They travel through the air, get carried along by water, and can even be transported by animals. Are you sensitive to mold? The CDC points out that some of us are more prone to mold sensitivity than others. People who are bothered by mold find that damp, moldy places bother them. It might create a stuffy nose. Precipitate a sneeze. Make one’s eyes itchy and watery. Become a real headache. And cheer on other annoying symptoms we may associate with allergies. When people are allergic to mold, their immune system kicks into overdrive upon inhaling mold spores. Mold allergies range in severity, from mild to serious. Some of us are affected all year long. Others may get seasonal flare ups. Symptoms may increase when it’s damp outside, or if a sensitive person is exposed to moldy conditions indoors. The dangers of mold illness. Mold allergies and mold illness are two different things. Mold illness is an inflammatory condition. Researchers tell us that mold illness is related to a biotoxin illness known as Chronic Inflammatory Response Syndrome. There are many well-documented cases of people becoming sickened while living in water-damaged buildings. Often, sufferers of mold illness go years without a proper diagnosis. a variety of psychiatric problems, and even brain damage. In one tragic case, a three-year-old child passed away due to complications of mold exposure. In another, multiple family members, including the father, daughter, and even the family dog, were all struck by mold illness. Some people think that unless their home has been flooded that they probably don’t have a mold problem. But mold can be present in even the cleanest homes. The two easiest ways to know if you might have mold is to see it or smell it. Mold can often be seen in bathrooms, basements and other places that are damp. It might be black, white, yellow, gray or green. It may appear to be flat, look bumpy, or even resemble hairs. Sometimes you can’t see mold, but you know it’s there because you can smell it. The most typical smell associated with mold or mildew is a musty odor. But mold can also give off a foul smell, as if something is rotting. In addition to the mold you can see, it may stay hidden behind walls and inside plumbing. It may also become trapped beneath your carpeting or other flooring. It can even be found in your HVAC or air conditioning system. If you suspect you might have mold that you can’t get to, consider hiring a mold specialist to check things out. Depending on how advanced your mold problem is, and also depending on how much time you have to address the problem, you might be able to address common mold problems yourself. But let’s get real. Mold is not to be taken lightly. Sometimes, instead of eradicating the mold, DIYers wind up spreading it. So, if you or someone in your family is experiencing symptoms that might be related to mold, or if you have a significant mold problem, consider hiring a professional mold testing and remediation firm. In summary, mold is a very common fungus that is all around us, all the time. Its impact ranges from harmless to potentially deadly. Some people don’t seem to be affected much by the presence of mold. Others experience allergic reactions. Yet a surprising number of us can develop a mold illness and not even know it. 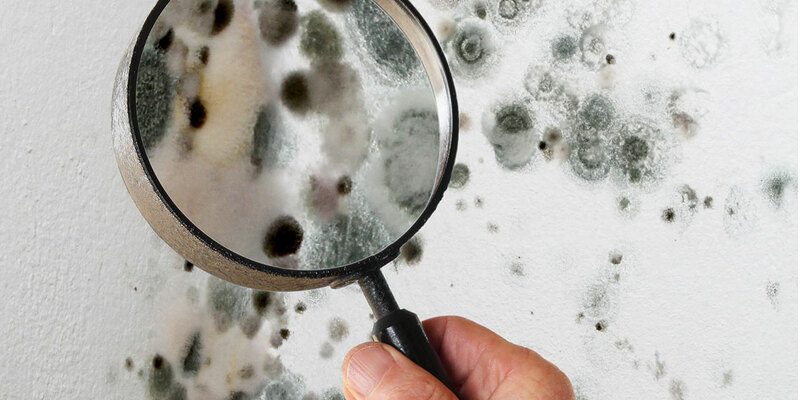 Is mold a growing problem where you live, work or play? If you suspect it might be mold, don’t wait to find out. And don’t hesitate to call on the advice of a qualified mold expert.